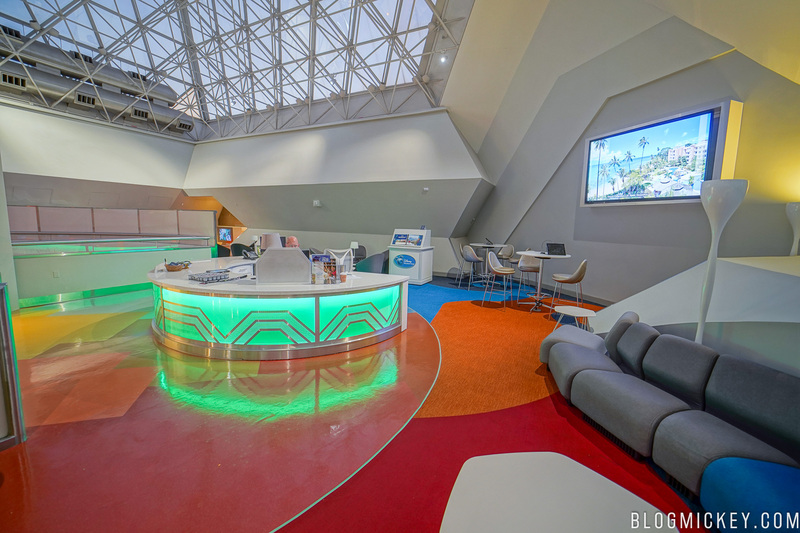 We recently had the opportunity to take a look around the Imagination Pavilion Lounge for Disney Vacation Club members and wanted to give a quick photo tour of the space. 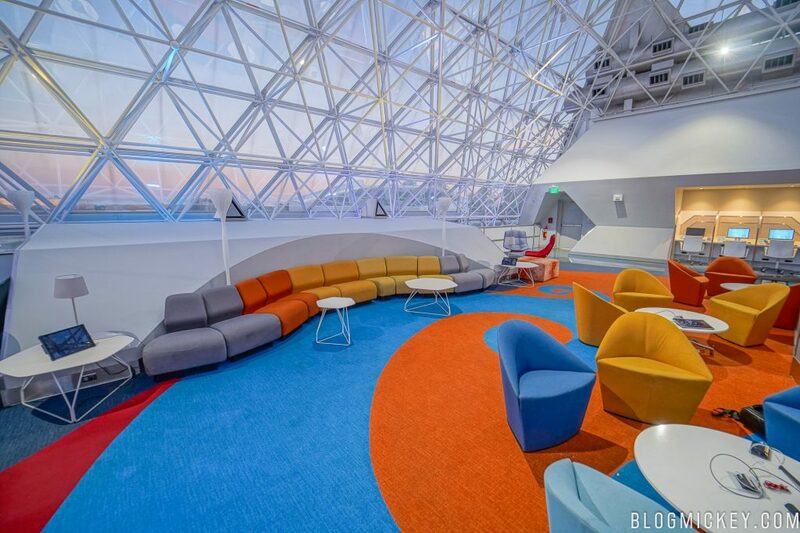 The second-floor lounge opened in June 2016 and has been a popular spot for Disney Vacation Club members to relax while visiting Epcot. The hours of the lounge are from 10am to 6pm, and members are able to enjoy a host of amenities while in the lounge. 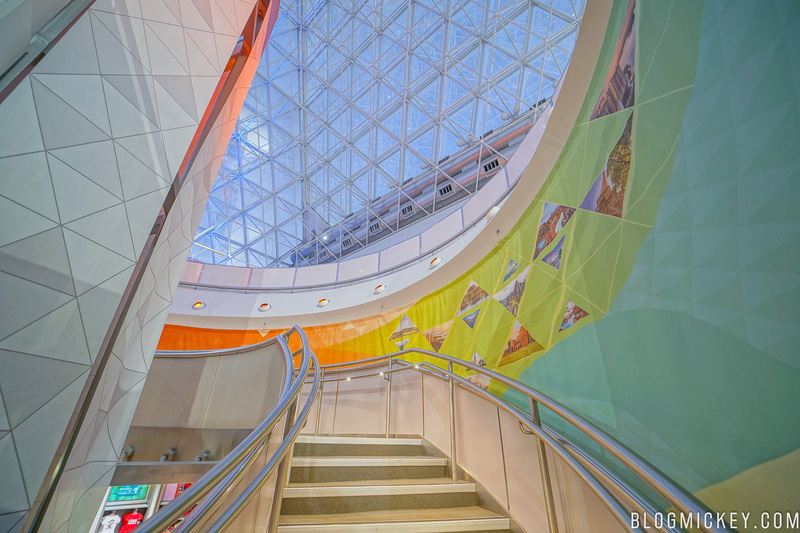 After checking in with a Disney Vacation Club Cast Member in Imageworks, members and their guests can either take an elevator to the second floor or a winding staircase. 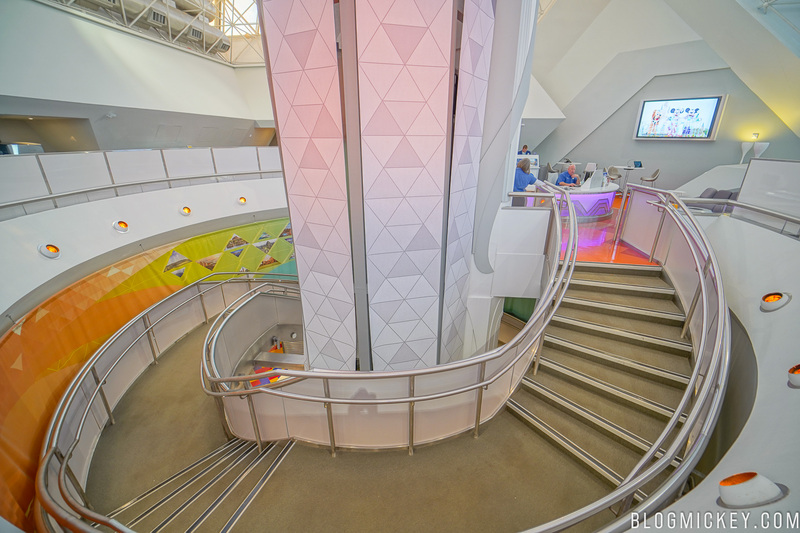 A welcome desk greets guests at the top of the stairs where various items are available such as snacks, phone charging cables, and more. 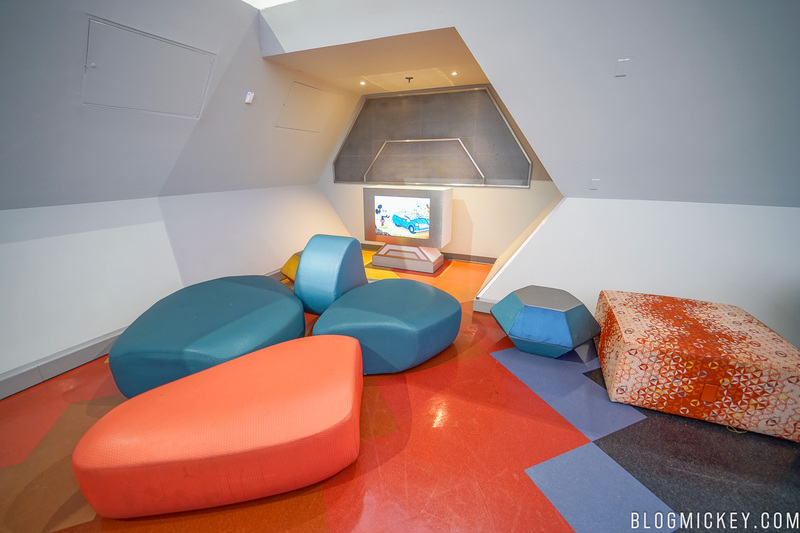 Walking around the space, we found a space for children with some Disney shows playing as well as a place to play some video games. 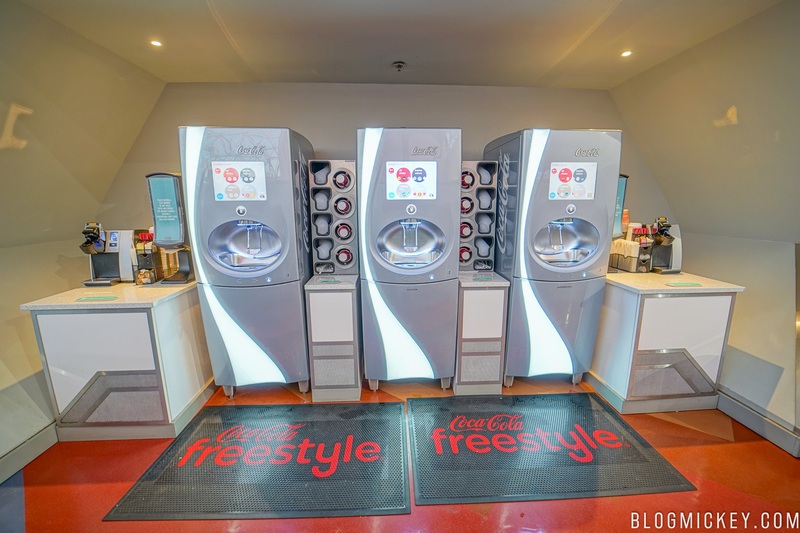 Nearby, three Coke Freestyle machines are complimentary. 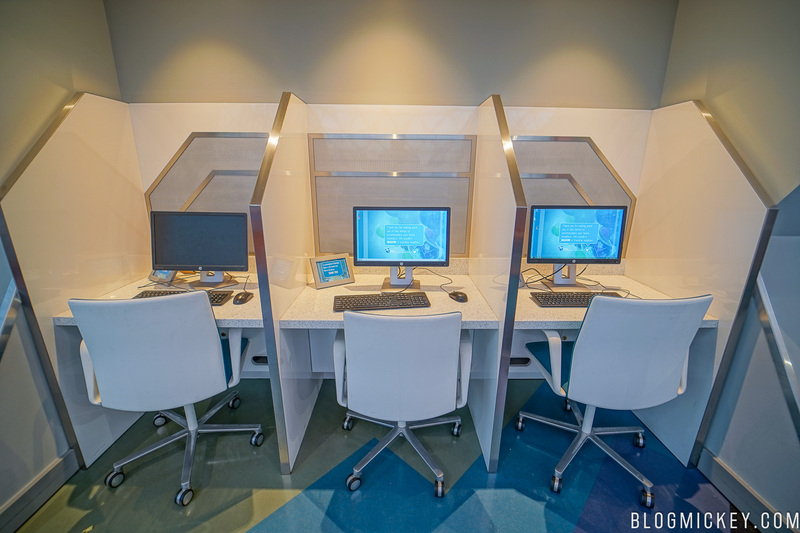 There are a few computer terminals that are available for members and their guests to use. The majority of the space is dedicated to relaxation. A variety of seating options and layouts are available. 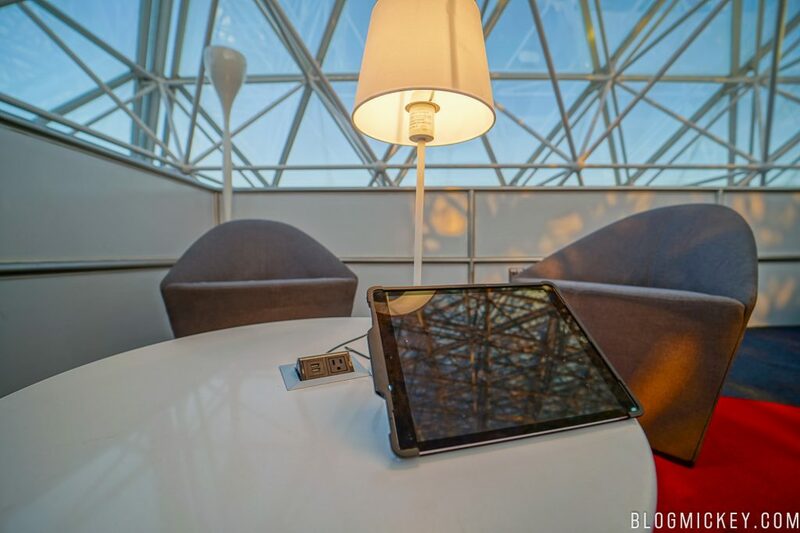 Almost everywhere you sit there are iPads available for use and multipurpose outlets. 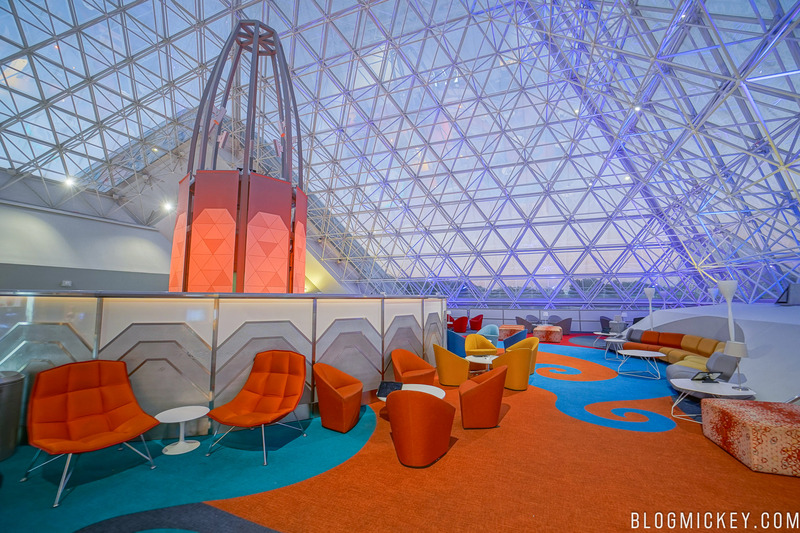 Of course, the best part about the lounge has to be the exclusive access to the space. 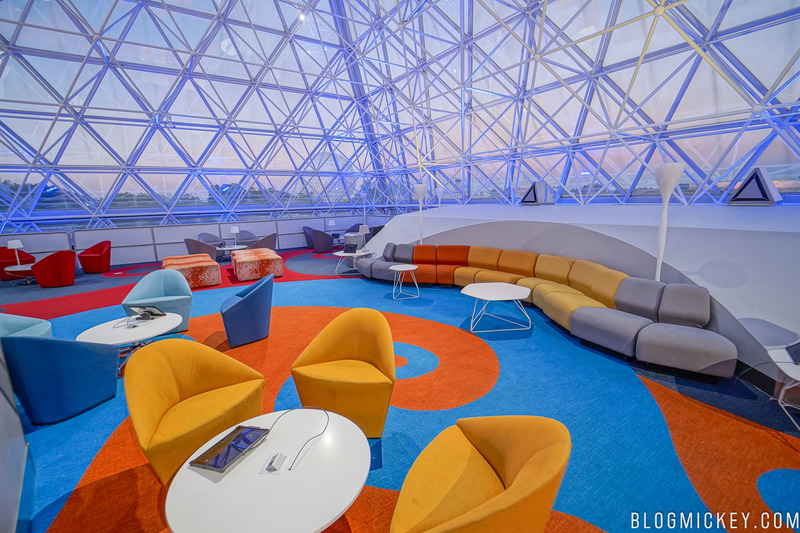 It’s an area that was once used as part of the Journey into Imagination attraction and has since been converted into this lounge. 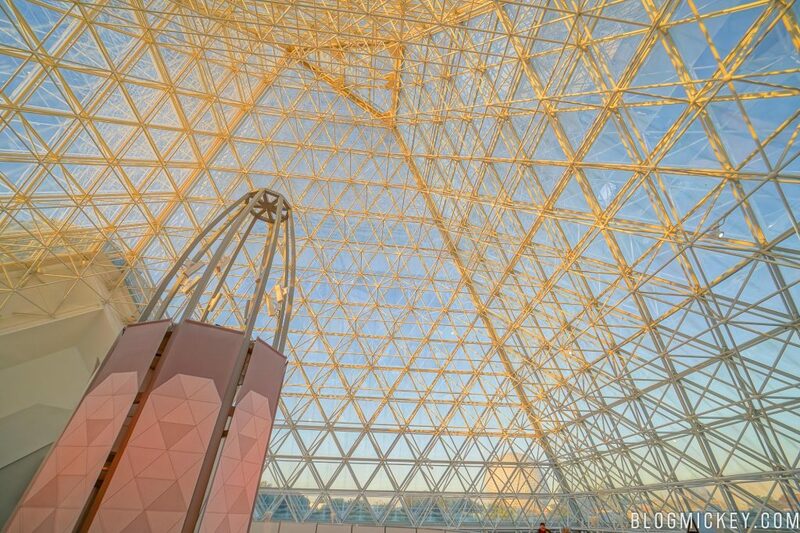 We really enjoyed being able to see the space during an early evening Winter sunset. 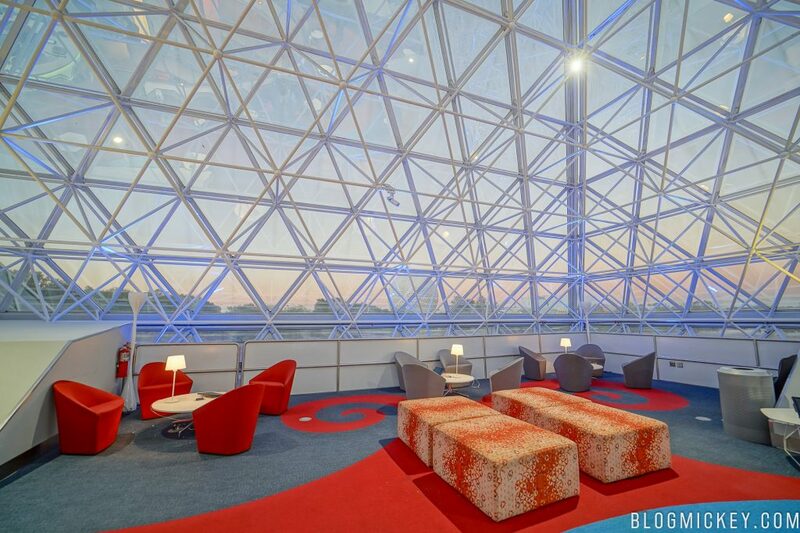 The Imagination Pavilion Lounge is available for exclusive use by Disney Vacation Club Members and their guests. This is a beautiful space, but every time I have been there it is overcrowded, there isn’t even floor space available to sit on. And while the huge windows give a great view, in summer they make it unbearably hot up there. The ac can’t keep up.